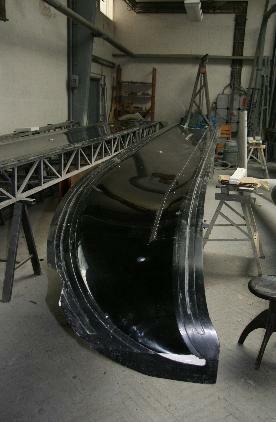 HpH 304S Wing Mould prepared for a fresh layup. All moulds are made on site by HpH using their own highly accurate CNC milling machinary. Almost all of a Shark glider is made in Kutna Hora, only 10% of parts being outsourced.